I’m headed to MommyCon Chicago 2018! I am a part of the MommyCon Bloggers Collective. I was given tickets to MommyCon Chicago. All opinions are my own. This coming March will be my 3rd MommyCon experience. Aren’t sure what MommyCon is? MommyCon is the largest natural parenting convention. 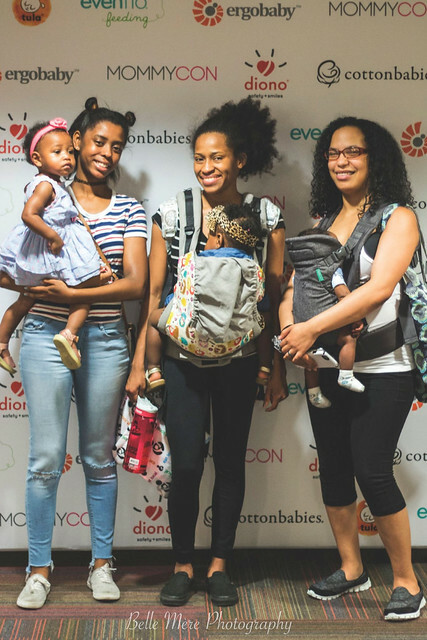 While attending MommyCon, you’ll experience the feeling of community while learning about birth, baby- wearing, cloth diapering, breastfeeding, and feel confident in your parenting decisions. You don’t even know how excited I am about it. The first year, I went to MommyCon Columbus in 2015. so, I was 38 weeks pregnant and didn’t stay long. But I did get to see all the exhibitors and listen in on a session or 2 before I was too tired and went home. However, I did purchase a couple of Applecheeks diapers for Olivia and a Moby wrap that I loved! Last year, I signed up to be in the MommyCon Blogger Collective. It is basically an ambassador for MommyCon because I believe in the community so much. This took me to Chicago in March and I spent most of the day there: In sessions and meeting the exhibitors. I loved being with my people! People who loved natural parenting as much as I do. I’ve never seen so many people who cloth diaper. I mean really. I, personally, have a love for carrying my daughter. For cloth diapering my daughter. I breastfed all 3 of my children. For a long time, I thought I was in the minority. THIS is why I love MommyCon! I realized how many MEs there actually is out there. And you can too. MommyCon is for those who know about natural parenting and those who want to know more. Interested to know what’s going on at MommyCon? Did you know DaddyCon is connected? You can go to their sessions as well! If you can’t make Chicago, there will be more around the country. 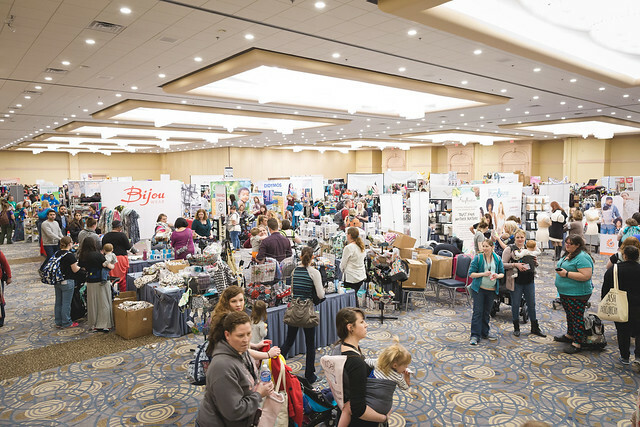 You can find MommyCon in New York, Charlotte, Philadelphia, Pasadena, Orlando, and San Diego. If you want to purchase your ticket, make sure to use my code: JustBeingMommie18 to get 10% off your tickets. 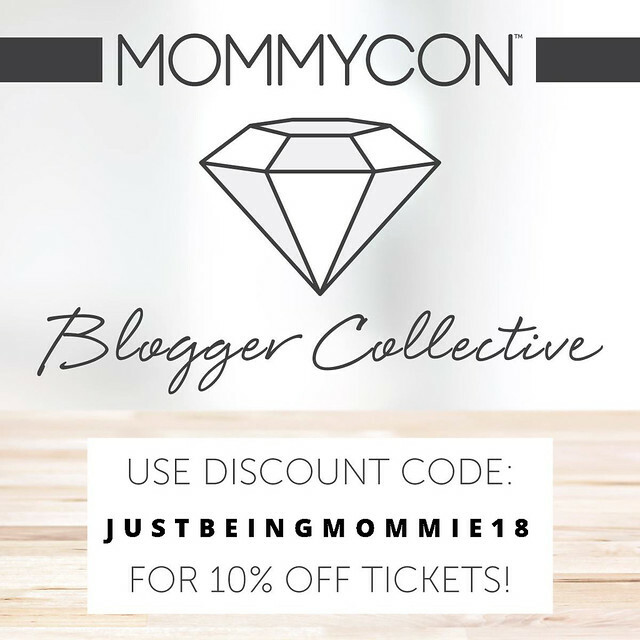 Want the chance to win a General Admission ticket to MommyCon Chicago? Enter on the form below for the chance to win 2 general admission tickets for Saturday or Sunday. The giveaway ends February 11th, 2019 at 11:59 pm est. Will be my 4th year! This will be my first MommyCon...and I’ll be 35 weeks pregnant! !